I am absolutely smitten with fall. Every single thing about it is my favorite–all the yummy soups & breads, cozy sweaters, crisp weather, and pumpkin everything. 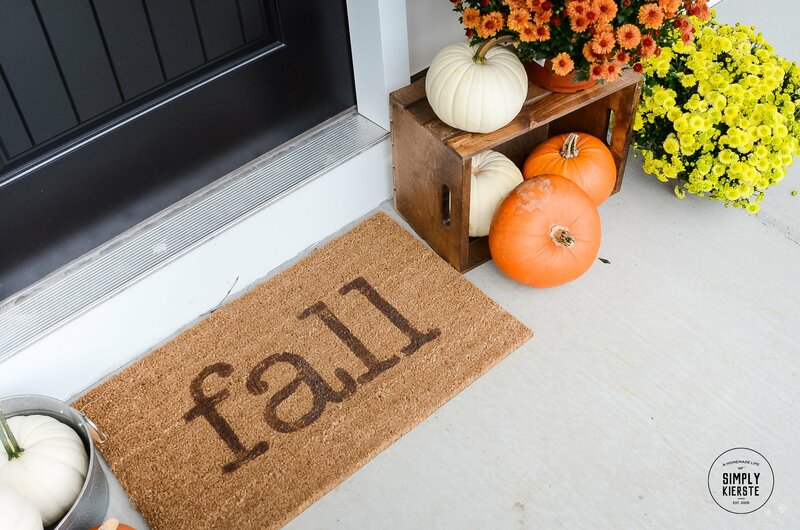 I’ve also started getting our home ready for fall — I always decorate the first week of September, even if the weather outside is still sunny and warm. 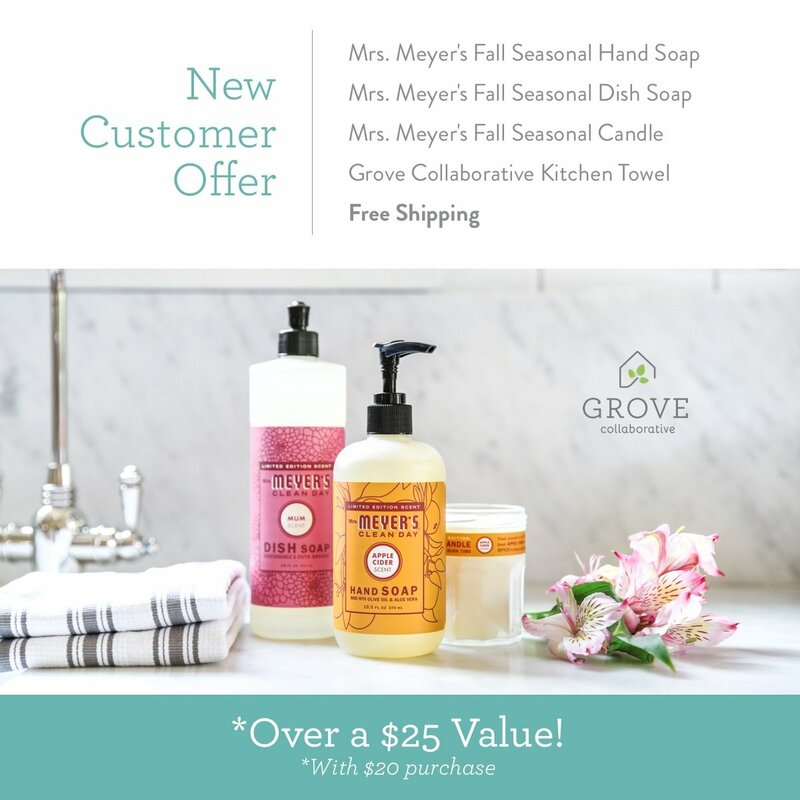 This free seasonal set of Mrs. Meyer’s fall soaps + candle + pretty kitchen towel from Grove Collaborative is one of the first things that I put out. I LOVE them! 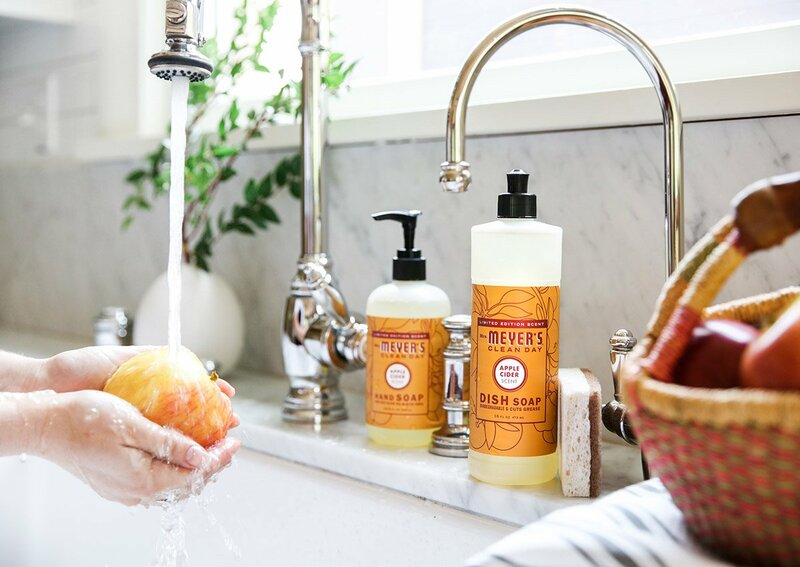 Mrs. Meyer’s lovely Mum and Apple Cider scents will bring fall to every part of your home! 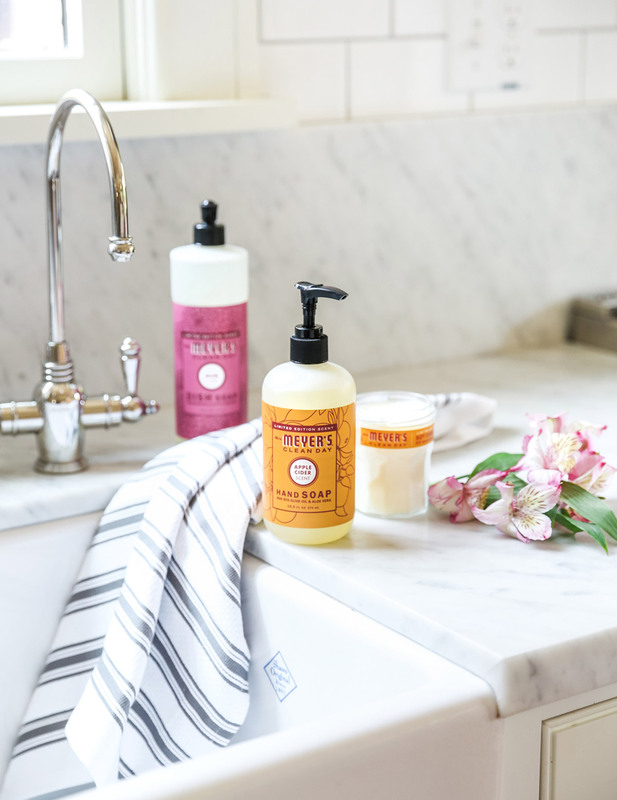 I LOVE Mrs. Meyer’s products, and they are throughout my home all throughout the year. 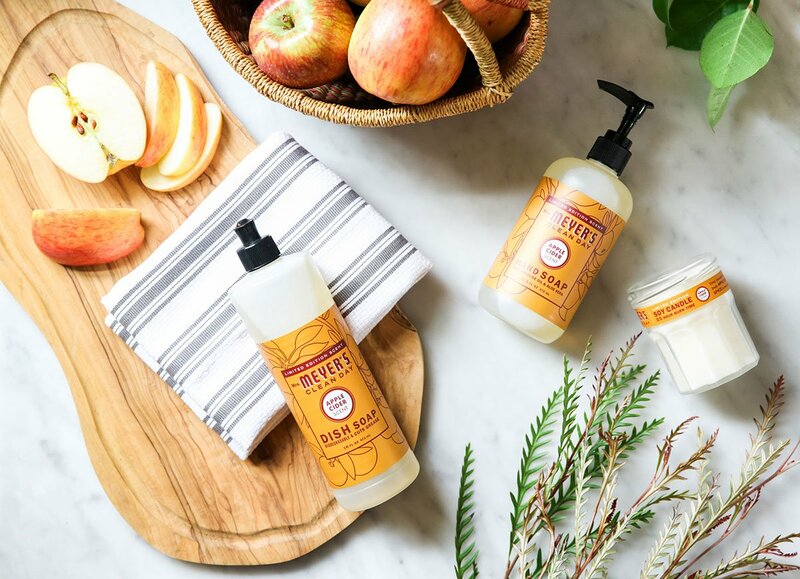 The fall scents are some of my favorites, especially the Apple Cider scent. 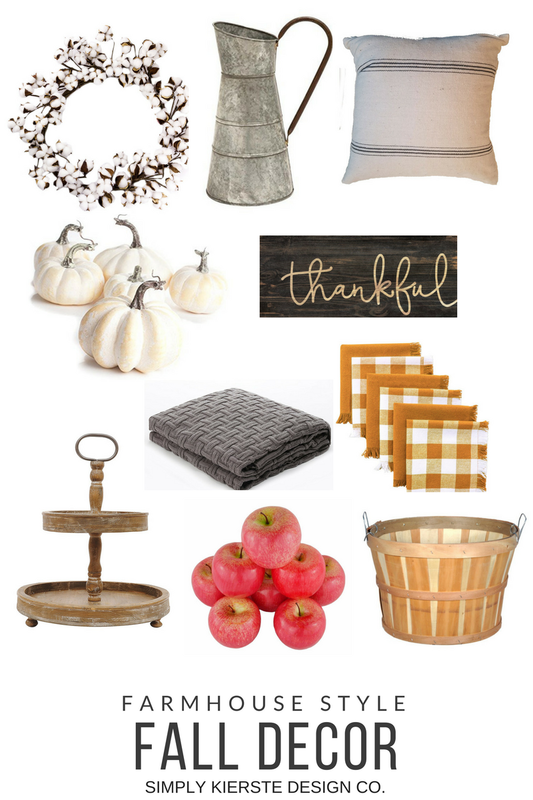 I love using it in my kitchen, laundry room, and all the bathrooms too! If you prefer a more floral fragrance, the Mum scent smells like a walk through a crisp fall garden. 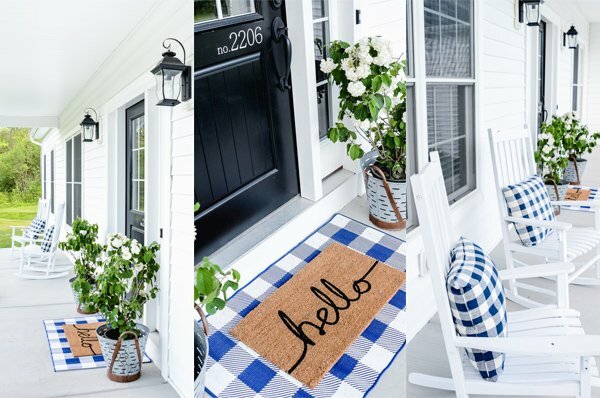 Not to mention the beautiful packaging — it’s the same color as the mums on my front porch! If you’re already a Grove customer, you’ll get a free set of Grove walnut scrubbers. 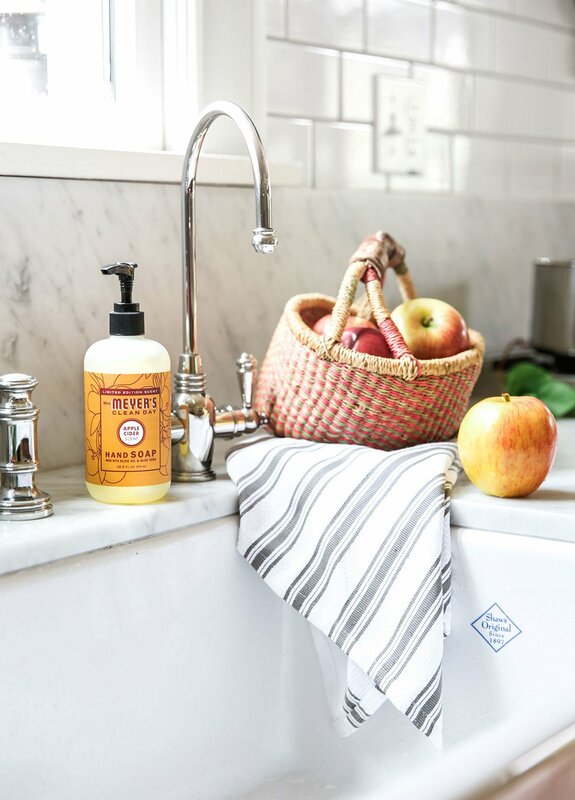 The set also includes a lovely Grove Collaborative kitchen towel. These aren’t any regular dish cloths — they’re thick, soft, and bigger than a standard kitchen towel. I always keep one nearby when I’m cooking for grabbing hot handles, wiping up spills, and drying dishes, and then I love to fold it over my farmhouse sink when it’s not in use. I also love their products, I actually a couple right here, lol. Love the post!